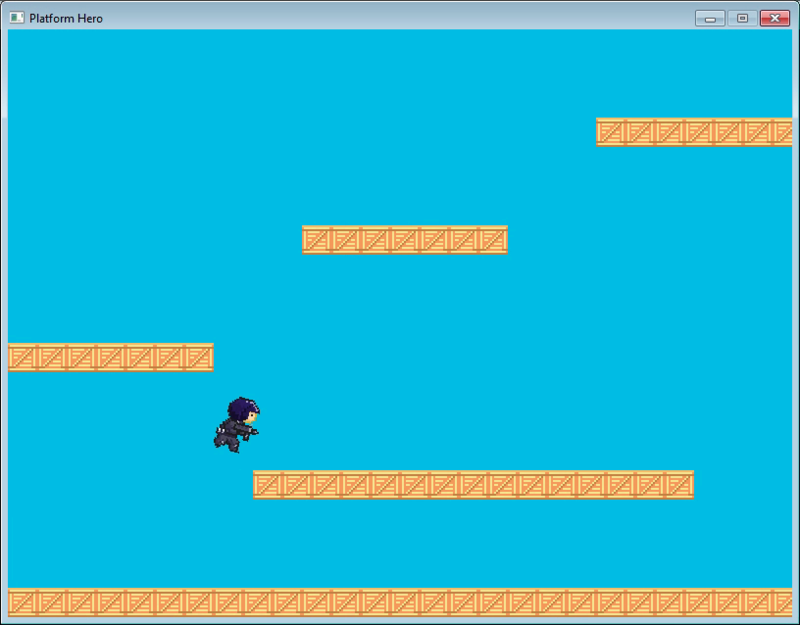 Now to add some keyboard control so that our hero is able to jump and run around. First we'll need to define some keys. You'll notice that one key (quit) is already defined in the [MainInput] section which is used by the [Input] section. This assigns labels to keys. These labels can be accessed in the code. Compile and run. Our hero will run left and right with the cursor keys. Sweet! Except he runs off really quick and doesn't stop. Run that and our hero will decelerate to a quick stop when no key is pressed. This code is like the previous key input code but this one only applies impulse just the once when the key is pressed - not if it's held down. Run it again. Much better! Next: Part 11 – Running and Standing.